Soon after my daughter's marriage, my son-in-law (who had dedicated his whole life to in-shore fishing with the Basque Cantabrian fleet) realized this work was hard to make compatible with his new family life, and decided to quit. The first year went pretty well and, even though the operation barely managed to cover its costs, it seemed that the investment would eventually pay off. Nevertheless, as he still had a great love for the sea, he acquired a medium-sized boat, equipped with a full navigation system, together with top-notch fishing gear. His idea was to start a recreational sea cruise and sport-fishing business, aimed at tourists and fishing amateurs in search of tuna, hake, squid... He hoped to make use of his past expertise, while maintaining a work schedule compatible with his family as well as another job on land. The first year went pretty well and, even though the operation barely managed to cover its costs, it seemed that the investment would eventually pay off. As months went by, however, things got worse, mainly because of one variable that was ruining the bet: the fickle climate of the Cantabrian Sea. Time and time again, the scheduled outings of the groups of fishermen and tourists had to be canceled due to the weather. Time and time again, the scheduled outings of the groups of fishermen and tourists had to be canceled due to the weather. And while professional fishermen go out to sea in almost any weather condition, because they make a living off of it and because they are prepared to handle the waves, the chill, and whatever else it takes, those in search of a leisurely trip are not inclined to face up to such harsh conditions. The decrease in revenue and loss of clients, combined with the cost of gasoline, repairs, mooring and overpriced liability insurance, meant that the boat business had become a perpetual source of losses. With heavy hearts, after years on the sea, my daughter and her husband decided to sell the boat and put a stop to their financial bleeding. To help them sell the boat, I began going to the intercession of José María Hernández Garnica, praying novena after novena for months. But the few offers for the boat were very low and, even then, none of them went forward. Their economic situation only got worse, and that originial investment threatened to take revenge on a family with two small children. My son-in-law was even considering giving the boat away or scrapping it so that it would not lead to the family's complete ruin. My son-in-law was even considering giving the boat away or scrapping it so that it would not lead to the family's complete ruin. It was an alarm related to the boat's security system, that had gone off for some unknown reason. Without thinking twice, my son-in-law went to the dock to see if someone had tried to force their way into the boat, or if another boat had collided with it. Anger and frustration overwhelmed this young father of a family who, after so many struggles and efforts to overcome this problem, seemed to have lost everything. In the darkness of the night, he went to the place where he had parked the boat, and was stunned to discover only the tallest part of the cockpit above water level. It had sunk! The boat was underwater! Anger and frustration overwhelmed this young father of a family who, after so many struggles and efforts to overcome this problem, seemed to have lost everything. On the brink of desperation, he returned home completely down in the dumps. My son-in-law needed to wait until the sea level had dropped in order to guage, by the light of day, the state of the boat and the possible causes of what had happened. This would be very important because, at the hour of paying claims, insurance companies are very fussy; in order to qualify for compensation, the causes need to be absolutely irrefutable. A small ray of hope began to shine amid the darkness. This would be very important because, at the hour of paying claims, the insurance companies are very fussy. Another important detail is that, during these days, we were experiencing a coastal phenomenon called “spring tides.” Just after a new or full moon, the water level oscillates a lot more than usual, such that at high tide the water comes close to breakwater, and at low tide recedes so much that it leaves many boats stranded on dry sand. So when the water finally receded, we were greatly suprised to discover the real cause of the disaster. At this point in the story, allow me to remind readers about a detail from the biography of José María Hernández Garnica. In addition to holding a doctorate in natural sciences and theology, he was a mining engineer, something to take very much into account, since one's technical training tends to influence the specific way a person approaches solutions to problems. Once the waters receded, we were able to see that the cause of the sinking was the trunk of an enormous tree. I mention it because, once the waters receded, we were able to see that the cause of the sinking was the trunk of an enormous tree. In normal circumstances, during spring tides, the ocean waters withdraw and the ships settle on the bottom of the sea. When the water finally returns, the boats regain their original positions, rising at the same rhythm as the water level. But as we could see, the trunk had landed under the hull of the ship, overturning it and greatly increasing its angle of inclination. When the tide rose again, the tree trunk prevented the boat from regaining its position, and the water began to enter over the edge, such that the boat's weight now prevented it from floating. The result was the complete loss of the motors, navigation system and rigging, making the boat a complete write-off. The trunk was trapped under the ship and, as the photographs show, the sight offered no hint of doubt to the experts: it was a total loss for absolutely fortuitous reasons, unrelated to any negligence of the owner. Hence my son-in-law and daughter were entitled to full compensation under their policy. 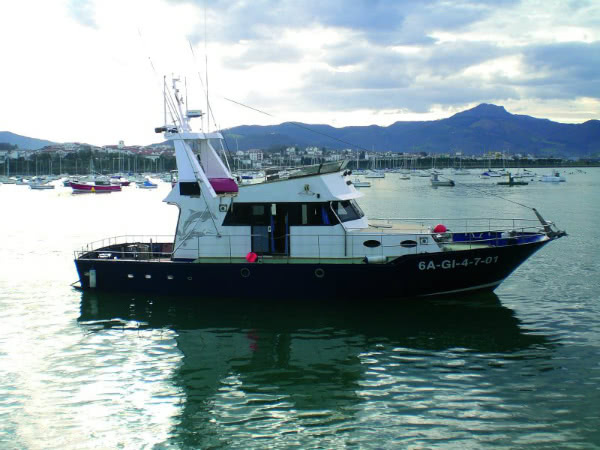 We still do not have the exact figure, because we have to discount the cost of scrapping and the work of the divers, but everything seems to indicate that the case will be settled with a favorable amount similar to that of a good sale of the boat, which will mean the end of the family's economic ordeal. Everything seems to indicate that the case will be settled with a favorable amount similar to that of a good sale of the boat. As for the facts, it seems to me that there are too many coincidences colliding. In the river channel that flows into the port tree trunks can sometimes be seen, though they are quite rare since there is no logging in the area and the size of the surrounding forests are minimal. Moreover, that a trunk of these dimensions (coming from who-knows-where) manages to float into the vicinity of my son-in-law's boat, lands near the hull and, once the water level falls, ends up in the exact place required to act as a lever causing its overturning, seems to me remotely possible, but extremely improbable. 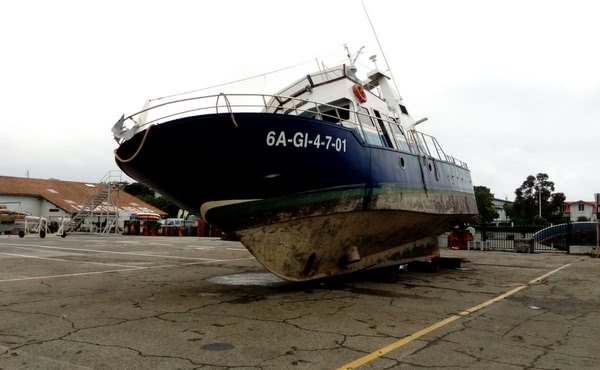 I dare say it is the first ship to sink like that on the entire Cantabrian Coast. 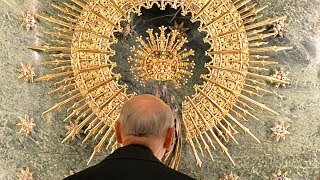 I realize that for the postulators of his cause, it is very difficult to admit a miraculous intervention like this, so different from the usual cases related to health or other personal situations. But for me, given the extremely exceptional nature of the event, and how much I entrusted the problem to Fr. Jose Maria, I have no doubt that it is a favor we obtained from Heaven through his intercession. A family was going through a really bad time and an engineer's hand provided the most unexpected and surprising solution. Thank you, Fr. Jose Maria, from the bottom of our hearts.